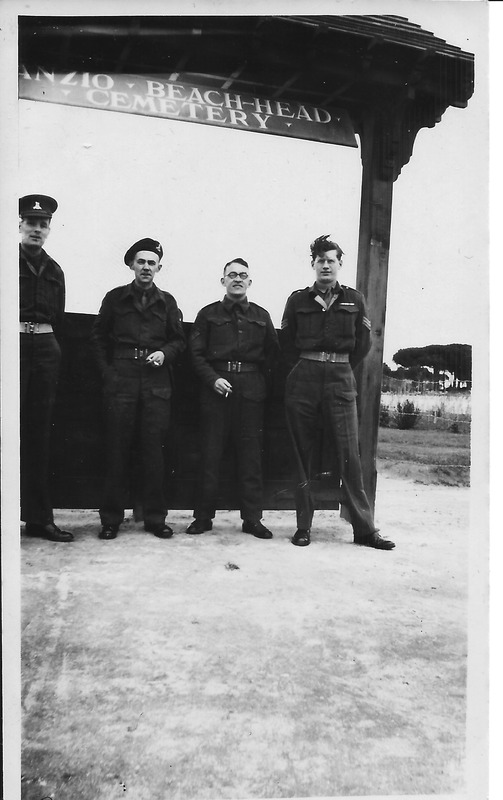 After tracking my father (Gordon Dinnis) down to travelling on the Troopship ‘Dominion Monarch’, I am keener than ever to find out more about his experiences in Italy during World War 2. I have a few photographs, letters and documents, so I got them all out and looked through them slowly for inspiration. And there it was! 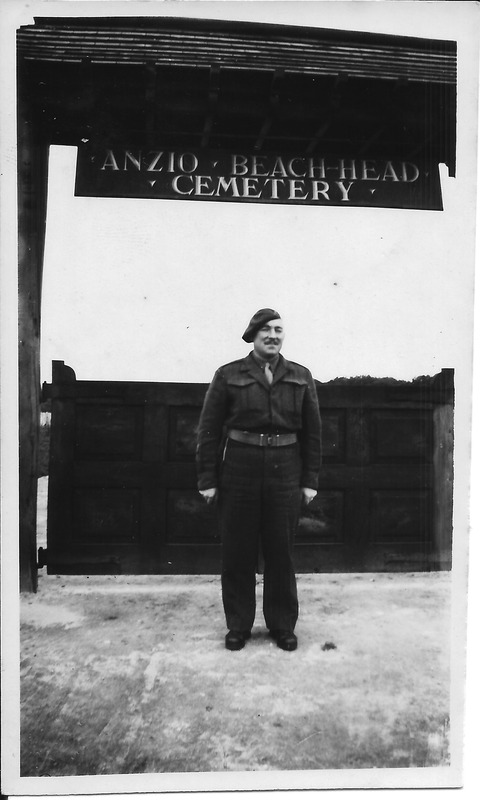 One of the photographs places my father at the Beach Head Cemetery in Anzio. Dad is on the right of the photo and you can clearly read the sign above their heads. These websites both share the same historical information, that on September 3rd 1943 the Allies invaded the Italian mainland, the invasion coinciding with an armistice made with the Italians who then re-entered the war on the Allied side. Progress through southern Italy was rapid despite stiff resistance, but by the end of October, the Allies were facing the German winter defensive position known as the Gustav Line. Operations in January 1944 landed troops behind the German lines at Anzio. 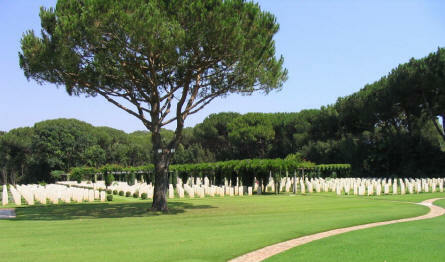 The site of the cemetery originally lay close to a casualty clearing station. 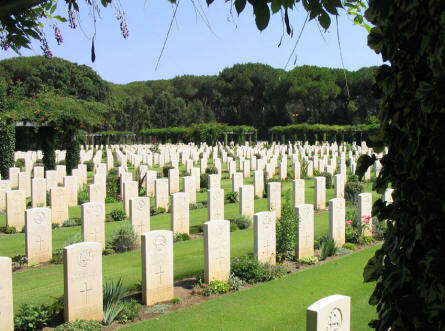 Burials were made direct from the battlefield after the landings at Anzio, and later, after the Army had moved forward, many graves were brought in from the surrounding country. 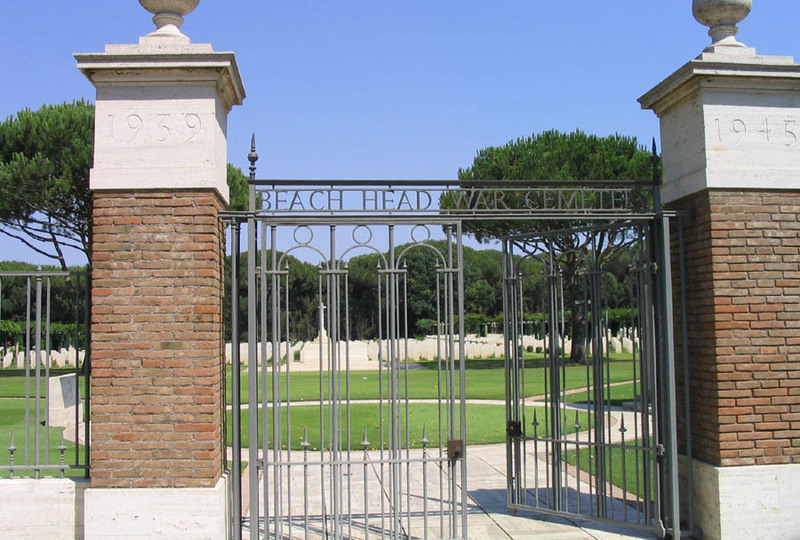 Beach Head War Cemetary contains 2316 Commonwealth burials of the Second World WAr, 295 of them unidentified. The cemetery was designed by Louis de Soissons. This entry was posted in Gordon Charles Dinnis, World War 2 and tagged Family History, History, World War 2. Bookmark the permalink.